Products that will ~makeup~ your day. The products in this post were updated in March 2018. 1. A reusable cloth that removes even waterproof makeup with ease. Just wet the cloth (no makeup remover needed!). Plus, you can toss it in the washing machine. 2. Cult-status makeup brushes that make blending incredibly easy. 3. A clean-up pencil that removes errant mascara and eyeliner marks. Perfect for when you sneeze and get mascara EVERYWHERE. 4. 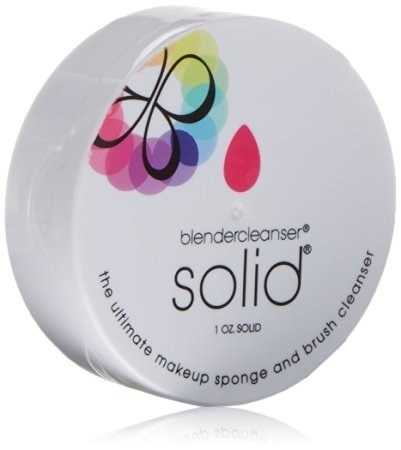 A solid cleanser that gets your Beautyblender and makeup brushes just like new. Just wet your brush or sponge, swirl it around the cleaner, and rinse. 5. An eyelash curler that looks futuristic AF...and actually works. Curlers like this one have more leverage to create a longer-lasting curl. Get it from Amazon for $12.35 (available in two colors). 6. A set of two silicone brush cleaners you can use on any set of dirty brushes. The eggs have varying textures to get all your brushes crazy clean. 7. A brush tower that lets your tools drip-dry perfectly. It can hold up to 28 brushes, and it even disassembles for easy storage. 8. A cosmetic bag that opens up into flat surface to spread out your makeup. Keep your makeup (and your counters) clean. Just pull the drawstring to turn it back into a bag! Get it from Amazon for $26.96 (available in 14 colors). 9. A beauty spatula that gets every damn drop out of your expensive foundation and concealer bottles. Because Nars Radiant Creamy Concealer is good to the last drop. 10. 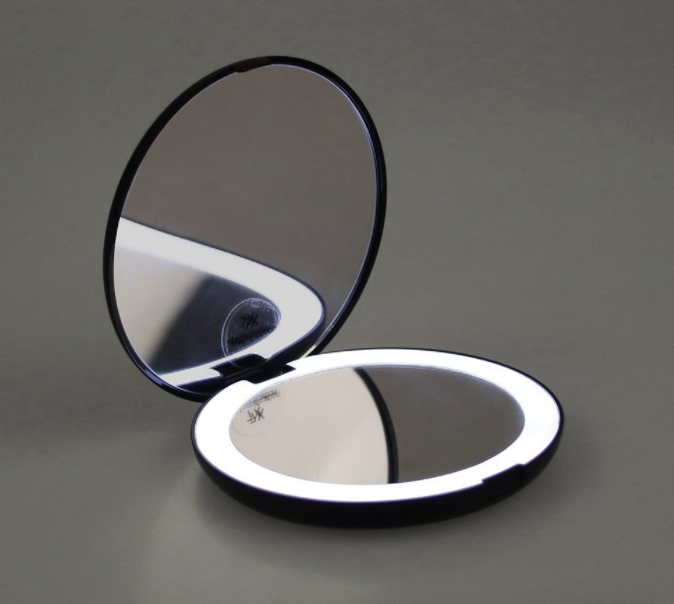 A light-up compact with a regular and 10 times magnifying mirror that brings precision to your 2 p.m. lipstick refresh. Get it from Amazon for $18.04. 11. A mascara and eyeshadow shield that prevents smudges and powder fallout from ruining your baked concealer. You can use it under or over your eye. 12. A wearable nail polish holder that'll keep you from spilling a drop. The shortest distance = the least mess possible. Get it from Amazon for $10 (available in 19 colors). 13. A brush-cleaning machine that gets the job done in 15 minutes. It'll run up to 12 brushes through one wash cycle and three rinse cycles to get them residue- and bacteria-free. Get it from Amazon for $139.95 (available in four colors). 14. A magic gel that mattifies all your favorite lipsticks. Get it from Amazon for $17.67 or Smashbox for $24. 15. A nail corrector pen you can refill with your favorite nail polish remover. Just use it around your nails to fix the edges without ruining the whole nail. 16. 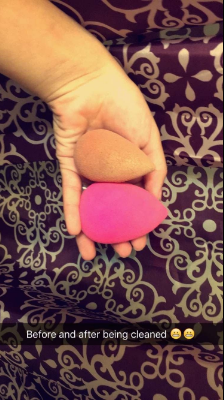 A brush sponge that lets you switch between eyeshadow colors without accidentally blending them. 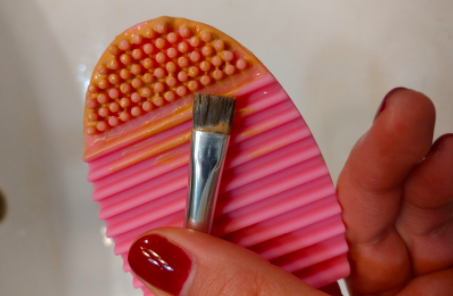 Sweep the brush across the sponge to get every bit of pigment off. Because you don't want to get your glittery black eyeshadow mixed in to your neutral taupe. 17. A rotating lipstick organizer that holds 81 SHADES. 18. A miracle liquid that turns eyeshadow into eyeliner. Add a drop to eyeshadow to make it last all day, or add a little more to create a liquid eye liner. Just apply with your favorite eyeliner brush. 19. And when you're all done, a Foreo Luna Mini 2, a silicone face-cleansing brush designed to totally remove your makeup, dirt, and oil, AAAAND gently exfoliate your skin in just 60 seconds (I know). ^That's me! I love this handy lil' device SO much. Check out my in-depth review for all the deets! 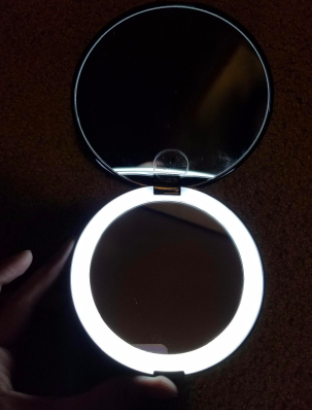 Maybe these gadgets will finally help you get that perfect Mulan ~flick~.